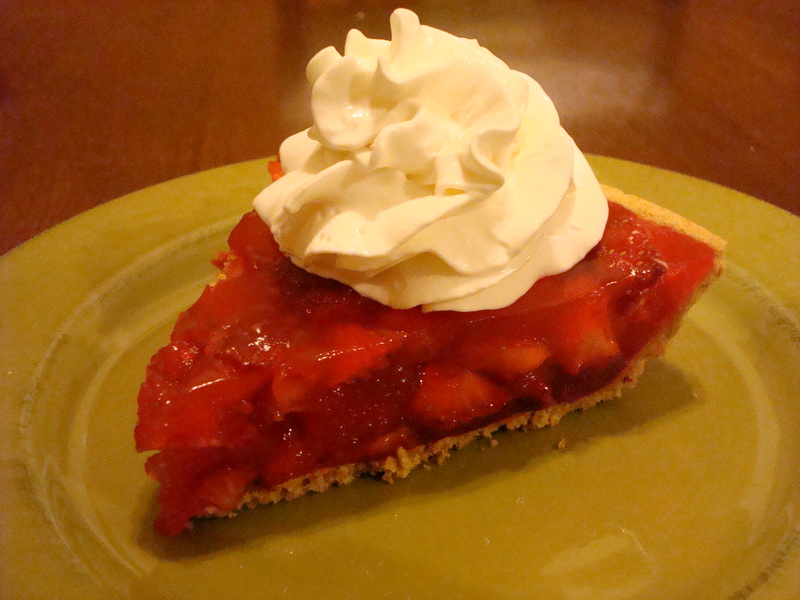 If you’re looking for a cool, refreshing summer treat then look no further than this strawberry pie. This is one of those delicious recipes that is perfect for an office pot-luck, summer BBQ or other gathering. It’s incredibly quick and easy to make yet you’ll still manage to impress your friends. Boil water, sugar & cornstarch until clear. Add Jell-O powder. Cool slightly and pour over strawberries in baked pie shell. Refrigerate until set. Serve with whipped topping and enjoy!